His heart cannot be pure whose tongue is not clean. Labor to get the fear of God into your hearts and seek delight in the Word of God. Infidelity is one of the most challenging, and damaging emotional events in life. It’s Emotional Murder! It is as easy to deceive one’s self without perceiving it, as it is difficult to deceive others without their finding out. When all expectorate with the same spittle, all have formed or obtained opinions from the same source. Curb the Tongue; Guide the Foot; Use the Hand, according to God’s Holy Will .. because the words you utter, the paths you go, the deeds you perform, tell mightily on yourself and on others. A young tree bends, an old tree breaks. Infidelity is a violation of the rules of a relationship. Sow character—and you will reap a destiny! The adulterer does all he can, to destroy the soul of another—and so kills two at once! Immorality in a home is like a worm in fruit. If you would have the nuptial union last, let virtue be the bond that ties it fast. Guard your heart with all diligence as every person has a tempter in his own bosom. Credit won by lying is quick in dying. Time reveals a person’s character. The punishment of a liar is that, even when he speaks the truth, none believe him. Little sins are sure to grow! The trickling leak in the dike — becomes a torrent deluging vast plains! Adversities we face is the teacher on our life path. The load on the camel shows off his mightiness, so greater responsibilities are shouldered by a ‘greater’ man. Before a thief steals, he has learned to lie. Neither fortunes nor flowers last forever. The heart and the eye are the two agents of sin!! The eye gazes — the ear hearkens — the foot tarries — the heart desires — the hand takes — MAN falls! If you don’t want people to find out, don’t do it! Dally with ‘little sins’, and it’ll surely end in shameful degradation; so guard against carelessness concerning ‘little sins’ and temptations. The little beginnings of sins can grow into appalling consequences that leads to moral and spiritual ruin. So, when one plays with fire, do not wonder why one is burned! What is the mind comes out as words or actions; so goes the saying “garbage in-garbage out” or “holiness in-holiness out”. Cast no mud into the well from which thou hast drunk. Do Not violate your conscience and Do Not violate God by trusting in your own wisdom. There is no heart so stubborn that it cannot become breakable in the hands of the Lord. He can change any heart—any heart! Any Hard Heart that is not obedient to Him! When you are happy, you enjoy the music. But when you are sad, you understand the lyrics. Keep our Spirits alive and right and our Hearts Clean! If you always give you will always have. It’s the Law of Nature. One is really rich who appreciates what he has. Repentance and good deeds are a man’s best lawyer. An outward show of virtue when the character is obviously vicious is worse than being a thoroughly corrupt person. A man needs to make his interior harmonize with his exterior. Self-righteous people tend to justify themselves by blaming others and putting others down to elevate themselves. Self-righteousness is a very difficult sin to get people to see and condemn in themselves. A good act or an act which is a preventive against wrong-doing or sinning is an “Arrow” in Satan’s eye. Dear Father in Heaven, may humans have the Vision to See, the Faith to accept the Truth, the Courage to Stand by that which they Know is Right. There is no emptiness of soul ever for those whose life is devoted to God. Let your prayers be frequent and fervent. As men age, their opinions change. Heaven send us misfortunes as a moral tonic. The written word can be erased — not so with the spoken word. So, think before you speak. Forgiveness is man’s deepest need and highest achievement. There is no finer heritage than morality. Don’t make light of little sins, as many think them. Little acts . . .
who can tell how much harm is often done by these things, and to what far greater evils they often lead? Cursed be he whose wife is faithful and himself is not! Do not magnify the trials or afflictions of life. Education without Salvation is Damnation! Good manners mean more than learning. In reality . . . riches are but dust, honors are but shadows, pleasures are but bubbles, and man is but a lump of vanity, composed of sin and misery. The world’s pleasures are often curses in disguise like poison in the wine-cup or an adder lurking in the bed of roses. True beauty is not of the face — but of the soul! Be humble. Pride only breeds quarrels. The moon, when she shines brightest—has its spots; and the fire, when it burns the hottest—has its smoke. In the smoothest paths—we quickly stumble! A wise man doesn’t need advice, and a fool won’t take it. Conformity to the world when the world is wrong is like quick-sand to destruction. Life is but a journey — a journey from the present fleeting world, to the eternal world. Guard well the eye. Keep it from vanity. Remember that one look cost Achan his life — and a lustful look embittered the whole of David’s years. Let the eye look straight onward, and right upward to the throne. The words you utter, the paths you go, the deeds you perform, tell mightily on yourself and on others. If God left us, What would become of us? We would fall at once into the hands . . . of sin, of Satan, and of the world. Reject worldly things that are rooted in idolatry. Prayer beats the weapon out of the devil’s hand — and gets the blessing out of God’s hand! There is a natural laughter, which is innocent and harmless. There is a spiritual laughter, which is God-pleasing and beneficial. There is a carnal laughter, which is sinful and injurious. What is popular is not always right and what is right is not always popular. We can’t follow the masses if the masses are wrong. Man is born with his hands clenched; he dies with them wide open. Entering life, he desires to grasp everything; leaving the world, all he possessed has slipped away. An evil wish is most evil to the wisher. Temptations are bombarded at us at all times, we can decide whether to succumb or to avoid and how we choose as well as why, is all that really matters. Jesus’ command of Loving One Another is that Love would replace law-keeping, Self-Sacrifice would replace animal sacrifice and the Vertical of Worship would be measured by the Horizontal. Remember — God’s Hand will not be forced by mortal man nor can God’s Will be thwarted by puny and sinful man. Do not trade your personal relationship and intimacy with Almighty God Jehovah and His Son, Yeshua/Jesus for worldly possessions and neither keep seeking to satisfy the temporal desires for anticipated relationships other than your own gifted earthly family. Character is like the foundation of a house — it is below the surface and inside of us — our hearts. Integrity keeps our heart and actions straight without stain. The tongue can paint what the eye can’t see. Self-justification is a cold, hard relationship killer. It severs Trust and Faithfulness between two persons. You may tell the greatest lies and wear a brilliant disguise, but you can’t escape the eyes of the one who sees right through you. An Indirect Lie is a Lie of Omission. Great is truth. Fire cannot burn it nor water drown it. Sidelined means not in favor, not worthy and only wanted when needed. Do NOT think to barter with Almighty God Jehovah or His Son, Yeshua/Jesus and maintain the attitude of defiance in surrendering; we alone, are responsible for our own outcome or consequences. Resentment that one feels inside, is like that of a person who keeps shoveling dirt over a big volcano hole. Forgiveness is the Oil in all relationships. Words are seeds, it’s either good sowing wholesomeness, or bad producing rottenness. Man has always sacrificed truth to his vanity, comfort and advantage. He lives… by make-believe! Things that are done, it is needless to speak about… things that are past, it is needless to blame. Forgiveness is Costly but is Free. It isn’t a matter of forgetting. What one has to learn is how to remember and yet be free of the past. Character, more than anything else, will impact how much you accomplish in this life. It determines everything about you. It is more important than your talent, your education, your background, or your network of friends. When God Speaks; we better make a conscious effort to Listen. Questions to God are from your heart and not your mind. When Almighty God Yahweh/Jehovah spoke at Mount Sinai, the First Commandment He commanded was to Worship and Believe in Him ONLY and no other gods shall you serve. When God is with someone; one should be careful NOT to be on the opposing side of this person. The world that is too much for us crowds out Almighty God. How much time is there for God in our lives – ponder and reflect truthfully from the heart; is God ever at all in all of our thoughts? Do not blow up minor annoyances and make it a mountain of fixation. It’ll do no well! When one is so focused on oneself; do not be surprised that Almighty God will do something to get one’s attention back to Him. How strong is your Faith when life throws you an inferno of fire? Stand Up and Stand By your convictions and your faith in God Almighty; do not compromise. When one is wealthy, one assumes one is righteous above all with a loud voice. If you search for God with all your heart and soul; He’ll be found by you. There are blessings which we cannot obtain if we cannot accept and endure suffering. Where God’s finger points, there God’s hand will make the way. When you’ve found God, you’ve found Peace. God cannot be limited according to your limited Faith in Him. You cannot be wanting God on your own terms but rather seek Him on His terms for He made you and not you yourself. Do not listen to the Devil’s lie by believing that you are complete in yourself. Your greatest gift to God is your heart and God’s greatest gift to you is Our Messiah, Jesus Christ. 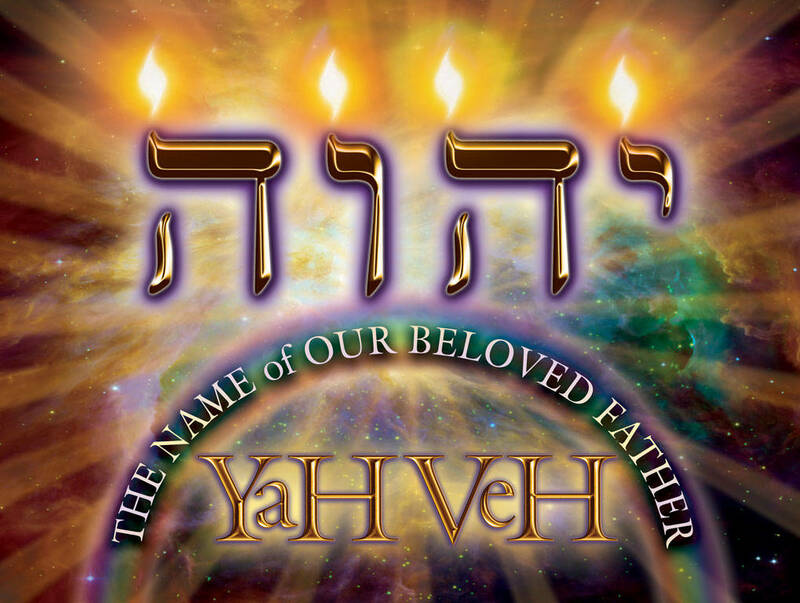 When Yeshua/Jesus was crucified, Almighty God Yahweh/Jehovah cried; the heavens rend and the earth shook! Deal with that cutting sharp tongue before it cripples your life with devastating consequences. Let your soul be open to quest hungrily for God’s awesomeness and goodness for your days will be blessed by that thirst. Be careful to love your God Almighty and be in Praising of Him; make seeking and loving Him your utmost priority! Do not let a weak moment trigger a wrong choice that will wreck your entire life, like Esau who in one swift decision discarded his birthright for instant gratification of his hunger; so do not crave after things that gives you satisfaction of fleshly desires in the moment. Those who don’t believe in God blame God for all the negative stuff that happens in their life and never reflect and be thankful upon the blessings that God bestows daily. Almighty God Jehovah/Yahweh had already demonstrated His sure sign of eternal love for you by sending His Son, Yeshua, Our Messiah, to be our Atoner for our sins and God keeps beckoning you to return to Him; so do not let your crazy stubbornness of not seeking and surrendering to God drive you to ruins of hell and lest if your time on earth is up, tears of bitter regret won’t account for it. Sin — We think we can shade it from ourselves and people but we can’t get away with it with God. He sees it right through us as He’s All-Knowing! If you sow profanity, you’ll reap profanity; basically one of the ungodliness of life. Sweep off all the clutter of uncleanliness in our minds and heart, seek to have a clean house for God to live in us, one that is of faith and purity. You are going to be judged according to what you do, not according to what another person does. So, what load are you carrying around? Are you carrying the light of Jesus Christ around? Or are you dragging around the Satanic, worldly, abominable burden of the evilness. In life, should you faint with trials and tribulations, remember that Almighty God is your under-girding wind beneath your frail wings. One has to tune in one’s inner compass and in stillness to listen to God’s nudges, promptings, impulses, signals or signs and accept it as divine messages of The Navigator’s guidance. Trust Almighty God Yahweh/Jehovah in Yeshua/Jesus to provide for the unknown, the unexpected, the unpredictable and also the unwelcome news. The devil has two master tricks. One is to get us discouraged; then for a time till we can be of no service to others, and so are defeated. The other is to make us doubt, thus breaking the faith link by which we are bound to our Father in heaven. Look Out! Do not be deceived either way. In the journey of life, sisters are the escalators that make the climb easier. Do not let your own loud voice overpower your own discerning inner voice. Replace the disorder of tardiness with the order of timeliness. No time is more valuable and precious than time spent with Almighty Jehovah God and His Son, Yeshua. Life has a way of humbling us so that we don’t have any chances of arrogance and prideful self meandering its way back. It’s sneaking re-route will be very detrimental to our soul and spirit, so be well aware and discerning. Do not let the Devil conditioned us to the cyclical disappointments in our lives; it’s his trickery for us to doubt Almighty God Yahweh/Jehovah.